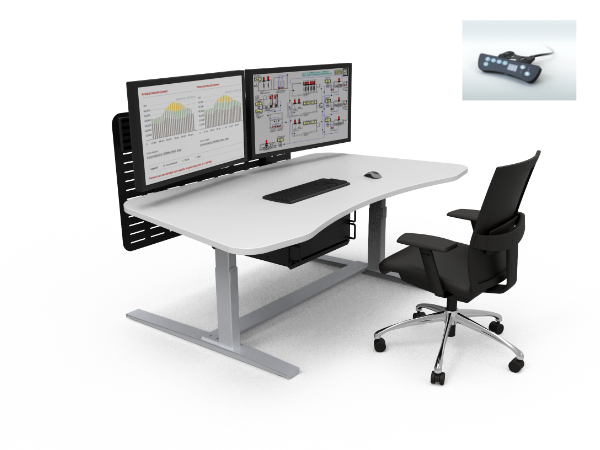 Dynamix – is a series of heavy duty sit stand consoles that are powered by dual motor and controlled by digital desk panel. 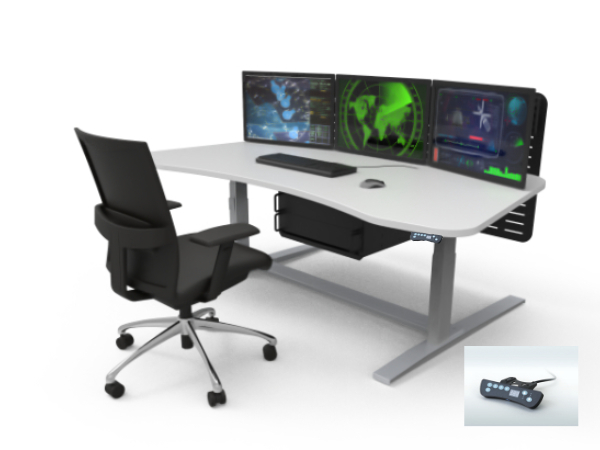 It is a perfect solution for 24/7 command centres where operator health & comfort is of paramount importance. The work surface is 1800mm wide and 1050mm deep. 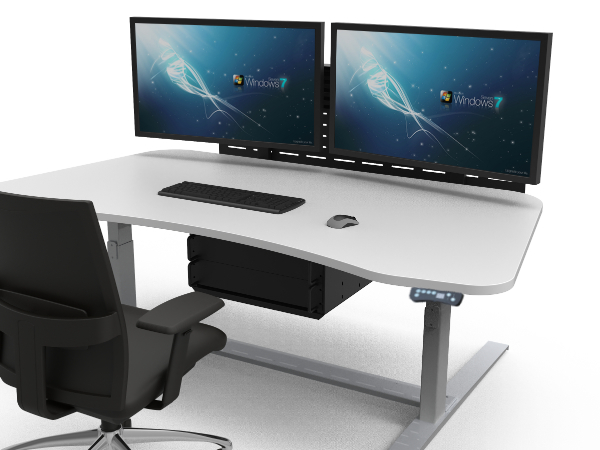 This allows the console to accept two units of 32″ LCD monitors or up to three units of 24″ LCD monitors. 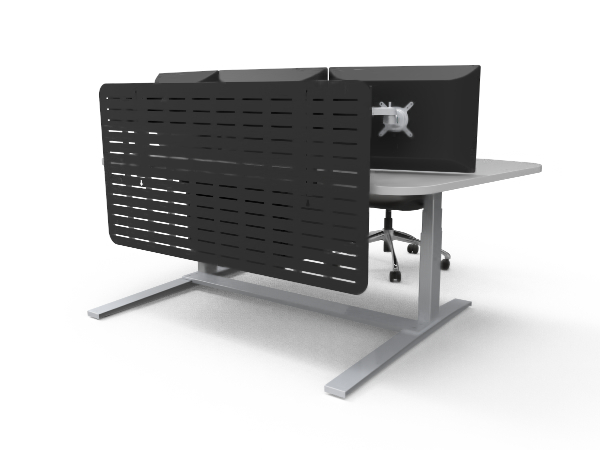 The monitors can be mounted on heavy duty aluminium slat rails which allows you to move and adjust to the desired position. 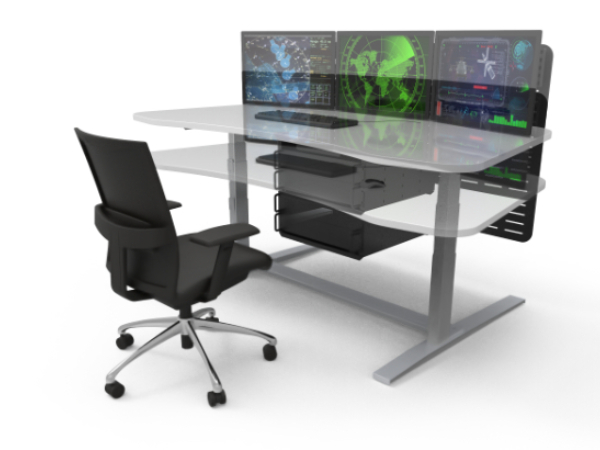 The 5U rack mount cabinet below the work surface allows you to stack up to 5U units. The rack mount cabinet is attached to the work surface so it moves up and down along with the work surface. 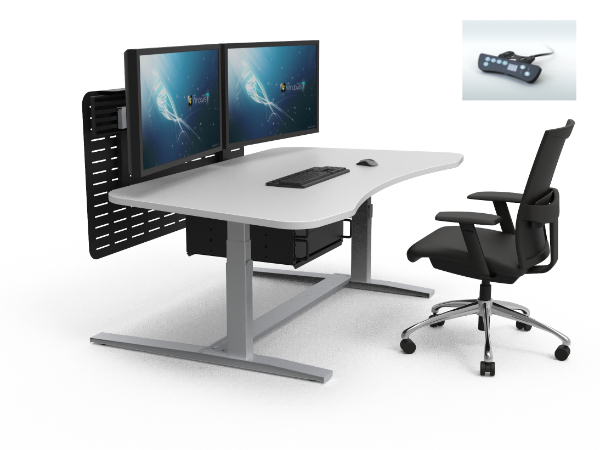 This simplifies the wire management between the CPU and the moving work surface. Rear side of the cabinets are fitted with standard six socket power distribution strips.